For race 3 of the SNHL season, we head over to the west coast in eastern Washington for the prestigious Columbia Cup in Kennewick, WA. Known to many as the superspeedway of the SNHL circuit, the Columbia river provides a calm yet intimidating 2.5 mile race course for the drivers to handle that will test the drivers patience and skill-set. With wide sweeping turns that transition to break neck speeds down the straightaways, we are bound to see some exciting, breath-taking action on the water this weekend. For many Washington teams, the Columbia Cup is a hometown race that is a must-win on the season for both pride and points. Tri-Cities has that electric feeling during race weekend that is nearly undefinable as some consider it the epicenter for hydroplane racing. 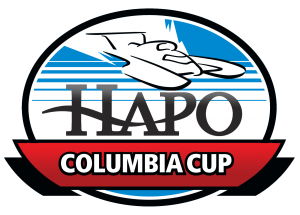 Whether it's the deck to deck battles, the jaw-dropping moments of a hydro taking flight, or the impeccable atmosphere that surrounds the Tri-Cities area during Columbia Cup weekend, this race is an experience like no other for any hydroplane fanatic. Entering the weekend, Eddie Kanfoush continues a healthy lead over the rest of the field with a nearly 600 point lead over 2nd place Nicholas Miller. The Llumar Window Films boat has been riding high so far this season, with 5 miraculous heat wins and a Madison Regatta final heat victory as Kanfoush looks to continue his dominance on the west coast swing. With many west coast teams considering Tri-Cities and Seattle home turf, Eddie expressed how confident he is entering Tri-Cities being the farthest traveling driver. "I’m feeling pretty confident. Tri-Cities is a very flat-water course and it has wide turns. If I can secure lane 1 I’d say I have a pretty solid chance. It’ll all depend on how well the Llumar team sets up the U-8 and how well I can drive! The West and East Coast rivalries are very played up; it doesn’t bother me at all. A race course is a race course, and I’ll be sure to try and put the U-8 out front." Trailing behind 2nd in points is the lightning quick Nicholas Miller in the Les Schwab Tires, who has proven to be arguably the quickest driver of the season thus far. Miller has shown a knack of flying the boat effortlessly to the tone of 2 back to back #1 qualifiers and 2 podium finishes in the final, but he is eager for much more. Proven to be one of the most consistent drivers behind the wheel, the Les Schwab Tires has seemingly been putting in all of the hard work on the outside when it counts which has affected his chances of capturing his first final heat victory. If Miller can find the inside more often, he could really dig into the points lead at a quick Tri-Cities Course. For the Les Schwab Tires team, its all about positioning that will give them the best shot to win the Columbia Cup. "It's all about getting into a good position in the final. In Madison I had a great start but had to battle all the way from lane 5. The U-9 has shown the past two races it is the fastest boat on the water, it's just my responsibility as a driver to put it in a position to contend for the win." The 2nd half of Team Wurster rebounded in a huge way at the Madison Regatta, as Cei Bowen's consistency paid off with a 2nd place finish in the final and placing himself in a good position to contend for the championship. The Tide sits 3rd place in points and has proven to be a dominant force on the circuit thus far. His ability to air the boat out keeps him in the running in nearly every heat and has the potential to improve even further at the Columbia Cup. Asked how he could build off of his current momentum swing, consistency is a key part in continuing the Tide's success. "I’m just gonna try and stay smooth and get a good finish in. I feel that Eddie could make some mistakes since a lot of pressure is on him. This also isn’t a very outer lane course so it will be very hard to win from lanes 2 or 3. Just gonna go in and try to stay smooth and finish good. It’s gonna be a fight for lane 1 through the whole day. Should be some close racing and hopefully will end up on top." After an unfortunate mishap occurred in heat 2D that cost Beau Rarig the chance at the Madison Regatta final, the first ever SNHL final heat winner will look to regroup the Budweiser team at Tri-Cities. Sitting 5th in points, there's nothing to frown upon for the Miss Budweiser race team with the season still early, as the team is confident that they'll return back to there winning ways at Tri-Cities. With the Columbia Cup in sight, excitement is in the air for the Budweiser team as Beau Rarig explained how Tri-Cities is their most experienced course and how they believe they have a good chance to get back into the winner's circle. "Tri-Cities is my favorite course, and we know how to win here. Budweiser Racing is hard at work, both on and off the water. Since the accident in Madison, our team has begun work to repair our T-2 hull. Meanwhile in Tri-Cities, we've been testing the T-3 hull extensively, which is the same hull that won in Guntersville. I've gotten more time on the Columbia River when the Tequila Patron ESM team brought me on board to test their brand new boat. I wouldn't be surprised if we've turned more laps here in testing than we'll turn at the race! Still, our main goal is to be consistent and snag as many points as we can. We put the accident at Madison behind us, and we're confident that Tri-Cities is going to be our best race yet. We know how to get lane one, our timing marks are solid, and we intend to win." While many proven contenders have a probable shot at winning the Columbia Cup, other West Coast teams have just as great of a shot as anyone else to secure a much needed win on the mighty Columbia river. One competitor who will be a definite hometown favorite is none other that Mickey Washburn in the U-1918 Oberto. Washburn has had difficulties throughout the first 2 races despite the flashes of excellence that the boat is very well capable of. Tri-Cities can be considered a fresh start for the Oberto team as they'll be looking to have the home field advantage in hopes of securing a moral victory for the season that can be carried on to next year. "First 2 races don’t remember them. Yeah Tri-Cities is my hometown we would really like to finish strong. We’ve been getting a lot of testing in we’re a little quicker not in the hotdog category but faster. With the national championship gone we are determined to put it all on the line for a hometown win. 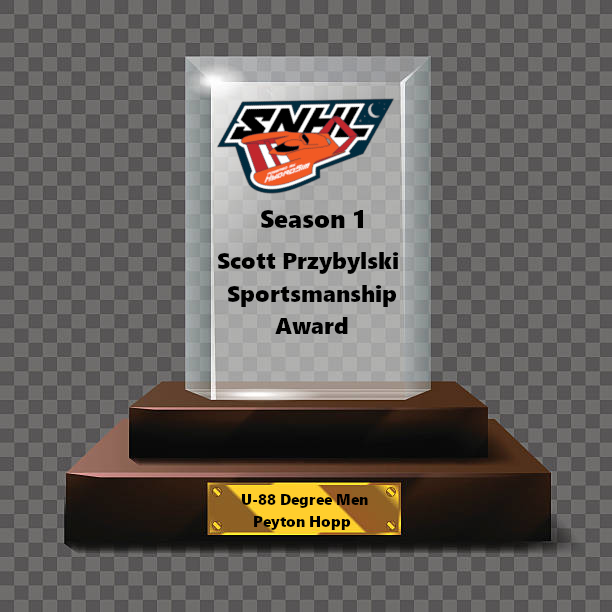 Maybe with a strong weekend we can finish the season strong and carry that momentum into next season." Another contender for the Columbia cup after a pretty solid Madison Regatta weekend is Matt Johnson driving the U-21 Albert Lee Appliance. With his first official race weekend being at Madison, Matt struggled at first with penalties affecting his chances at making the final. Despite a few mistakes, the Albert Lee Appliance saw massive improvement to end the weekend with a heat 3B victory, a win in the consolation, and a hard fought 4th place finish in the Madison final. With much more room for improvement in sight, Matt Johnson is eager to build off his early success and continue to dial in his season. "Well it was a big confidence boost with such a good result in Madison, especially since I know I could have done better. I'm excited to carry that momentum forward at Tri-Cities, and I'm confident that I can compete with some of the faster boats. Consistency is huge though so as long as I walk away from each heat with points I know I'll be in good shape." Also looking to build off of a solid first showing is Peyton Hopp in the Schumacher's U-88 Degree Men. Peyton showed some great promise early on with a 2nd place finish in 1C and a 1st place finish in 2C, but a costly mistake on the last lap of 3C saw his electric start to the weekend disappear. Hopp still got away with the weekend with valuable points, and has some great momentum entering the Columbia Cup. Still developing as a driver, Peyton has confidence that he can only improve from his 1st race's experience. "Madison was a great learning experience for me after getting my feet wet for the first time. Had an explosive start but sort of fell apart after a few driver errors happened but that's all in the past. I've come to learn that mistakes happen even to the very best but those mistakes encourage a good driver to become a great driver. Tri-Cities is my absolute favorite unlimited course as there's just a certain level of intensity entering Columbia Cup weekend that you can just sense. We have an outstanding team on deck for Tri-Cities and have had a few successful test sessions on the Columbia. The boat seems to handle the corners here pretty well and rides a little loose in the straights, but that will change when a full field of hydros are out there! We don't want to set the standard too high for ourselves, but we are undoubtedly confident that we will have a successful weekend at Tri-Cities." With a big field of unlimiteds expected for the 1st annual SNHL Columbia Cup, excitement is in the air as teams prepare for a hotly contested battle at Tri-Cities. Get ready hydro fans for some sponson walking, heart-stopping, edge of your seat racing that will provide some thrills and spills at the first ever Columbia Cup!